McLEAN, Va. -- Virginia Gov. Terry McAuliffe is a subject of a federal investigation looking at donations to his gubernatorial campaign, according to a U.S. law enforcement official. The official spoke on condition of anonymity because he was not authorized to speak publicly about an ongoing investigation. The governor, a longtime ally of Bill and Hillary Clinton, is being probed for his time as a member of the board of the Clinton Global Initiative, and for donations to his gubernatorial campaign. Although McAuliffe is close to the Clintons, the official told the Associated Press that the investigation of McAuliffe is unconnected to a separate FBI investigation looking at the legality of private email servers that Hillary Clinton used while serving as secretary of state. The law enforcement official did not say what specific contributions were drawing scrutiny, but said that campaign finances and donations to his 2013 campaign were part of the investigation. 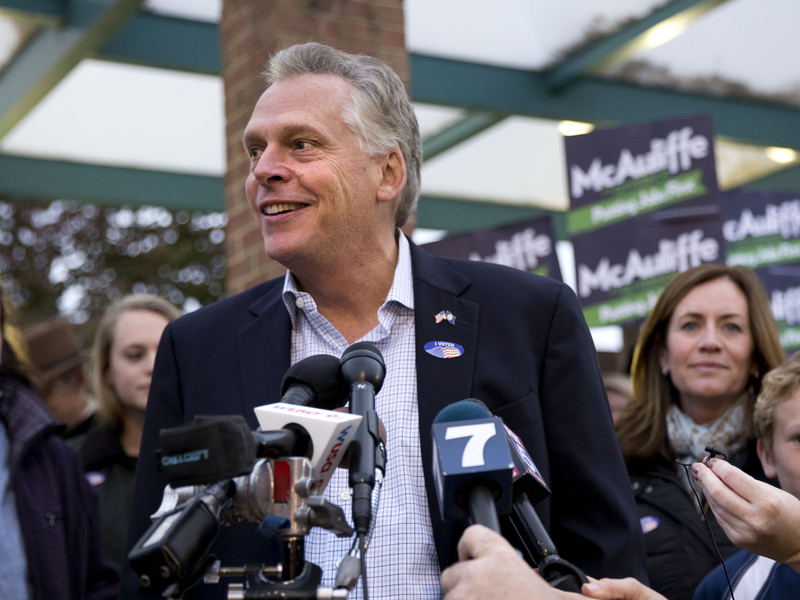 Marc Elias, a lawyer for McAuliffe's campaign, said Monday that the governor, a Democrat, is unaware of any investigation. "The Governor will certainly cooperate with the government if he is contacted about it," Elias said in a statement. One of the donations that is part of the investigation is $120,000 from Chinese businessman Wang Wenliang, according to CNN, which first reported the story Monday. Wang, who was born in China, is a permanent U.S. resident, which would make him eligible to make campaign donations. According to the FEC's website, "Foreign nationals are prohibited from making any contributions or expenditures in connection with any election in the U.S....[but] "green card" holders (i.e., individuals lawfully admitted for permanent residence in the U.S.) are not considered foreign nationals and, as a result, may contribute." Hillary Clinton spokesman Brian Fallon told Bloomberg Politics' "With All Due Respect" that he had "nothing to say on that because I haven't even seen the report." McAuliffe's predecessor in the governor's mansion, Republican Bob McDonnell, was convicted on federal corruption charges but has appealed his conviction to the U.S. Supreme Court. Last year, McAuliffe's political action committee, Common Good Va., returned a $25,000 donation from a company with ties to Angola's state-owned oil company after The Associated Press raised questions about its legality. Federal law prohibits campaigns at any level from receiving money from outside the U.S.
McAuliffe's international business connections also came under scrutiny prior to his gubernatorial campaign. He served as chairman of GreenTech Automotive, a company that hoped to bring supercompact automobiles to the U.S. market. The company attracted hundreds of thousands of dollars in foreign investment, in part through a federal program that granted visas to investors who met certain job-creation thresholds. McAuliffe resigned from the company in December 2012. GreenTech, which received millions of dollars in economic incentives from state and local officials to build a plant in Mississippi, faced criticism for falling well below expectations in production and job creation. CBS News' Hannah Fraser-Chanpong contributed to this report.